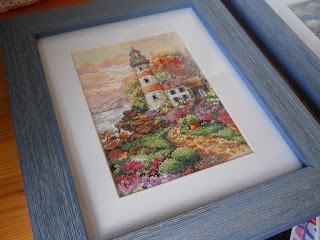 I went to the craft store to buy some frames for my two lighthouse finishes (normally my finishes languish in a pile that I keep meaning to deal with, but never do! ) and found the perfect frames. 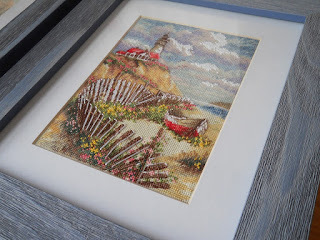 Unfortunately they weren't made in the size of the finished stitching, but since I like a mat with the stitching, I went with the bigger sized frame and bought a couple of plain coloured mats to fit.....or at least I thought I did. Now the thing that you have to understand is that I'm really fussy (and a bit indecisive) about picking colours for frames and mats. It takes me ages to decide. You have no idea the problems I have with picking between white, winter white and off white....I kid you not! Any way, after the trials and tribulations of making such a momentous decision, I get home unwrap each of the frames and mats to discover that......the mats don't fit!!!! Arghhhh! The mat which came with the packaging description of 'fits an 8" x 10" frame for a 5" x 7" picture', actually only measured 4½" x 6½ ".....cutting off some of the stitching that I wanted to be seen! A few night later I was in the local Wal-mart and happened across some (much cheaper!) mats....same problem....they measured only 4½" x 6½"...but..... they also had double mats that when you remove the inner 4½" x 6½" mat, the remaining mat measures.....wait for it.....yayyy, the desired 5" x 7"!!! I can't get a photo of the two pictures side by side as the reflections look awful. I think the distressed blue wood is perfect for the sea/ beach subject of the stitching....I'm so happy! Now all I have to do is find a hammer and some nails and get these two lovelies on the wall. Beautiful frames , they really enhance the pictures. You said that you would like another picture to add to them , and Dimensions have a kit called Seaside Treasures. I saw that someone was selling one in one of the fb groups. Will try and add the link for you. Oh they are so so beautiful in their frames!I am sure you are so happy with them!AriadnefromGreece! Perfect needles works and perfect frames. You choose the best frame. Congratulations for yours beautiful finishes. They look great! The distressed wood look of the frames is perfect for them. I had a similar problem before, now I always count on my measuring tape in my purse:) Great idea removing the inner matting, They look gorgeous! Perfect frames for your perfect finishes, well done! Ohh they look perfect. Sorry you had all the trouble. Perfect frames and mats! 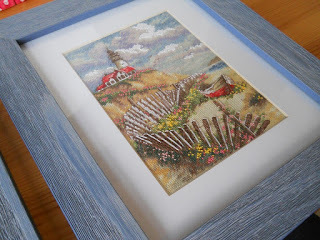 The distressed blue wood looks like driftwood next to your seaside stitching. Well done for getting them framed and on display too. 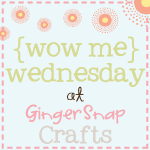 Your Finish is so cute and so darling...I love the way you finish your two WIP's and the Frames are just gorgeous. I love the background of your Blog. It is so pretty. I love looking at your Blog. I Finished the first one for my father a few years ago. The framing and stitching go so well together. GReat job! 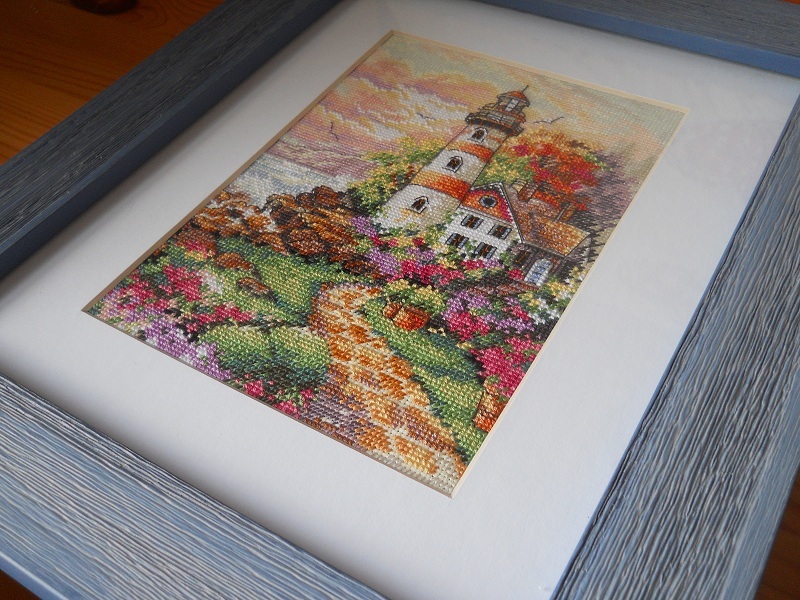 Your framing looks gorgeous! The sizing issues are common to all stock frames and mats, they are designed for photographs. That's the reason I always have a little tape measure in my handbag so I can check the true dimensions in the shop! Amazing finish and great framing! They look great and perfect! !